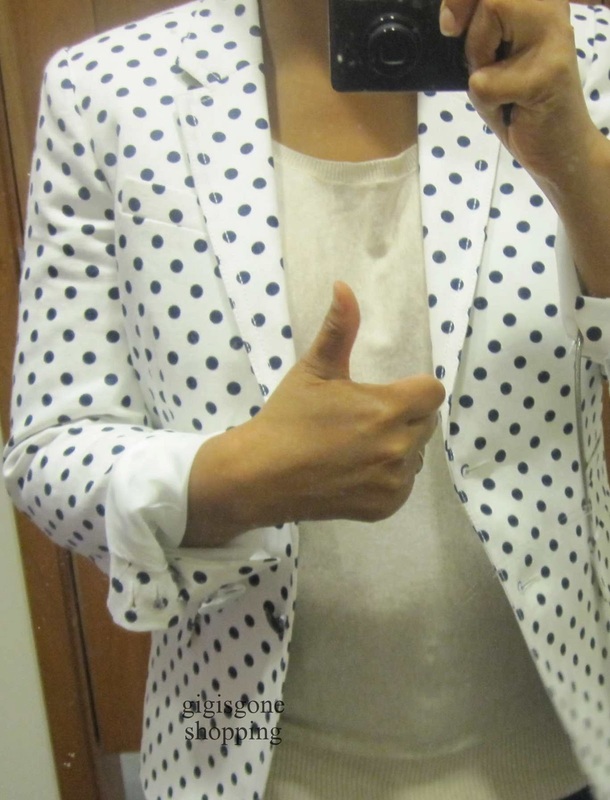 J Crew’s schoolboyblazer in dotted linen (46072, $188) runs 00-16. The color is called navy. 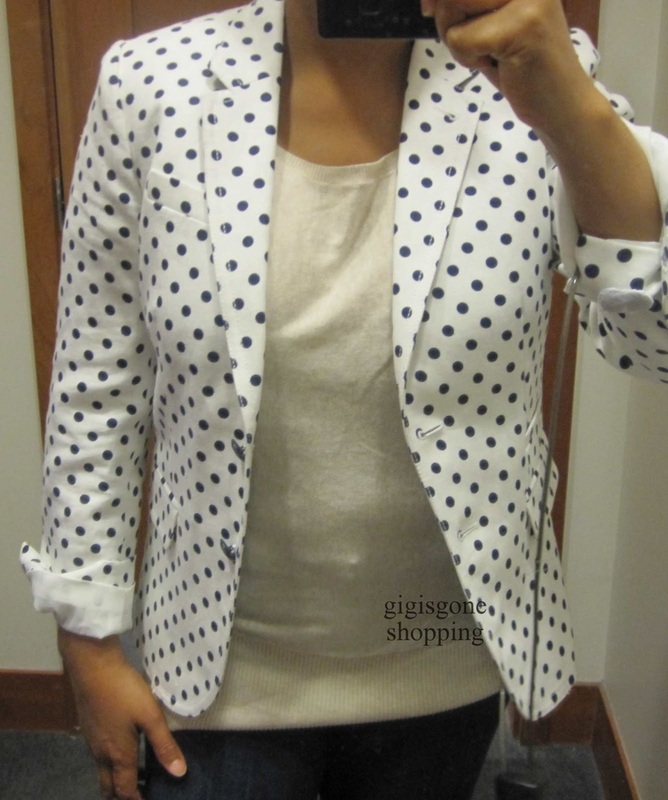 Size 4 – I haven’t really had an interest in this as I have a couple of polka dot blazers. I thought I’d try it on anyway. Check it out on J Crew Is My Favorite Store. …even if I can’t button it. I only button blazers on suits. Of course one assumes the dots are black from far away, but they’re navy. Even in a blur with Cruella de Ville chasing because she thinks you’re a dalmation. I find the linen blazers to be pretty wrinkly. This one felt very structured and I’d expect wrinkles at the crooks of the elbows, but not nesc all over. 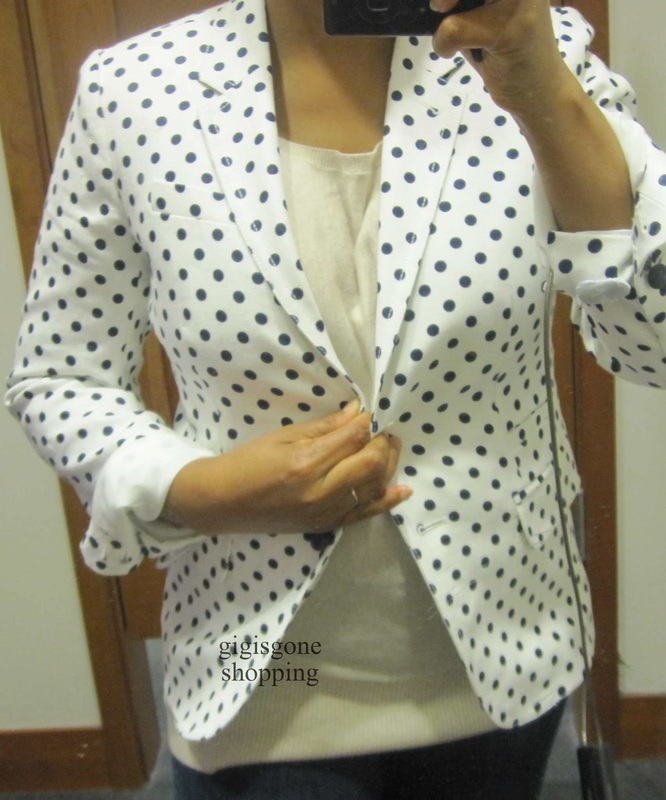 The dotted blazer is currently on promo for $168 and eligible for an additional 30% off with SUMMERTIME thru this Wed, 6/13. Yes, $5 makes a difference. 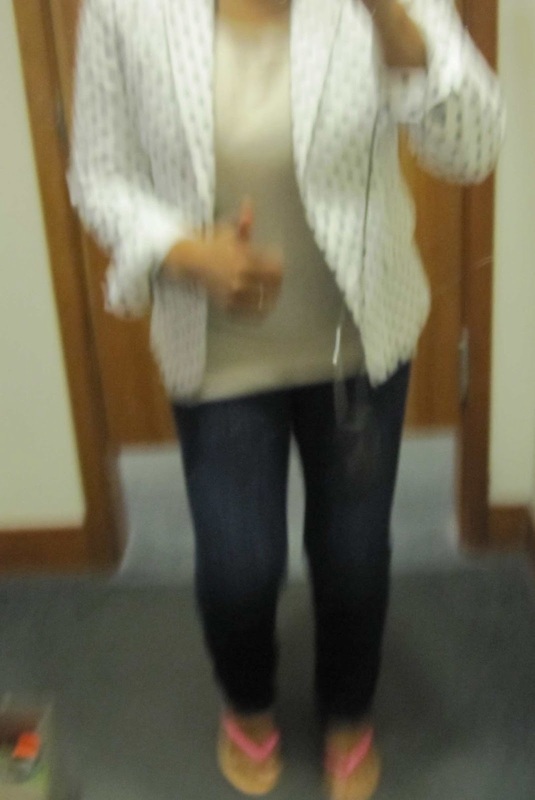 I LOVE this blazer!!! It's one of my favorites. Thanks for the link love! Do you know if the SF store has any eyelet tops left? Or anywhere else for that matter? 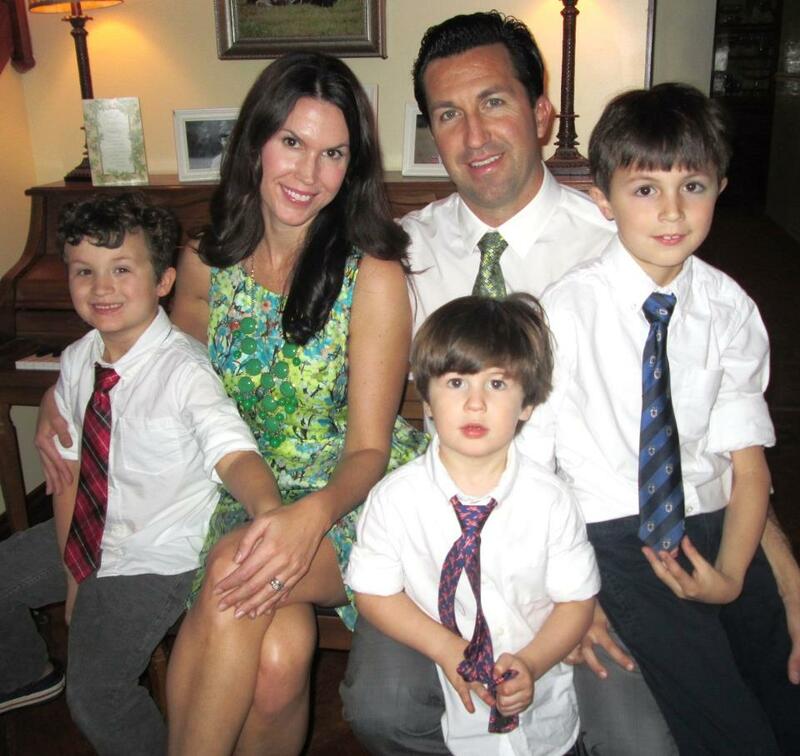 Thanks, and I love your blog! I really like this blazer. It's still more than I'd pay for a summer blazer since I would really only get a few months about it, but I will probably think about it after another price cut + 30% off. Looks great on you! shopmurphy – I hear you on cost/wear. I don't think I need this one. If I had more situations for it, it might be hard to pass up. Thanks Gigi! Yes. The short sleeved one. Thanks for your help! marshmallow soup – I'd try Pleasanton. And if you're trying other stores, you might try 3rd Street Promenade in Santa Monica. They might've had a couple of the aubergine/purple color. marshmallow soup – Pls had the aubergine color, but only 00 & 0. If I happen to see it elsewhere, I'll let you know. Saw a few at my local store- don't know which sizes but there were quite a few. Bethesda md 3013652000.